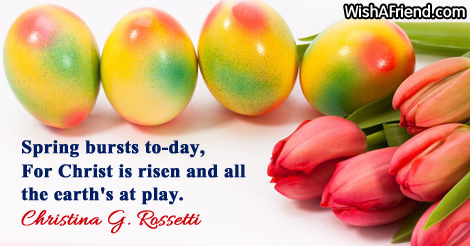 Christina G. Rossetti Quote: Spring bursts to-day, For Christ is risen and all the earth's at play. Browse our collection of Easter quotes and sayings. Share Easter quotes with friends and family. Spring bursts to-day, For Christ is risen and all the earth's at play.